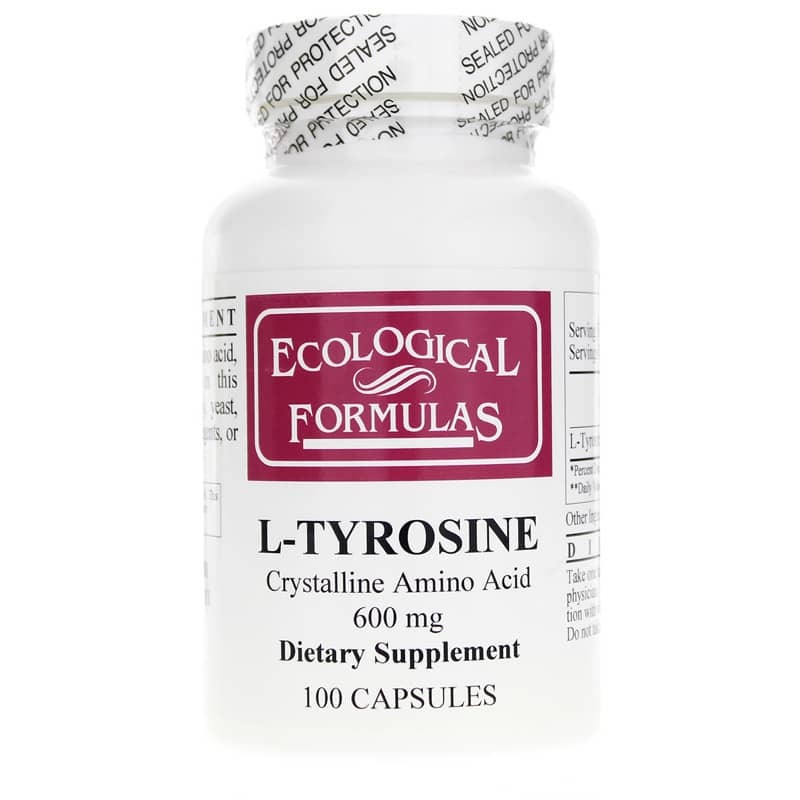 L-Tyrosine from Ecological Formulas contains only the purest crystalline form of the amino acid, L-Tyrosine. 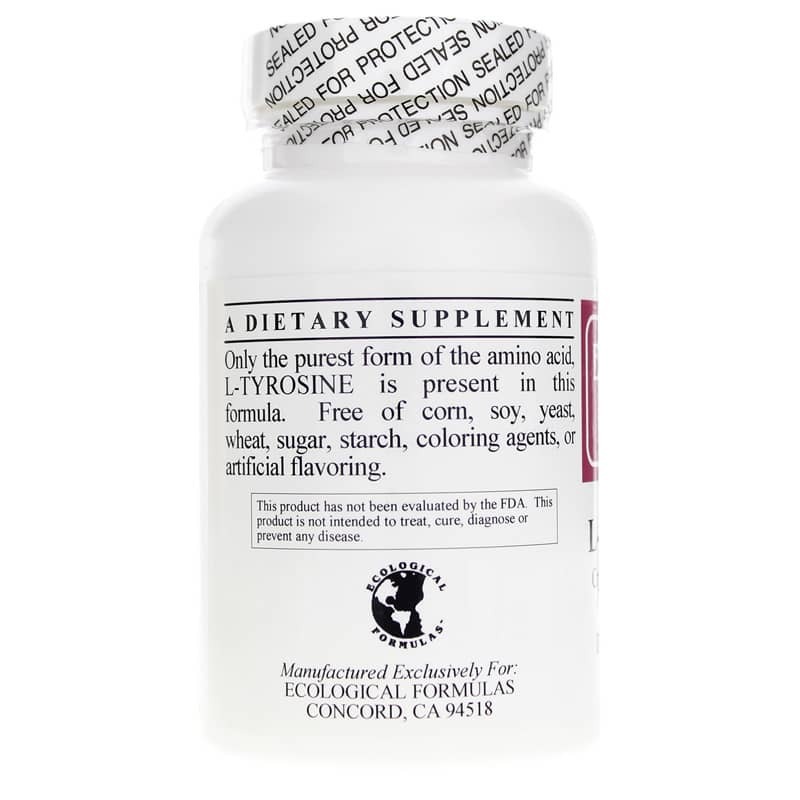 Contains NO: corn, soy, yeast, wheat, sugar, starch, coloring agents, or artificial flavoring. 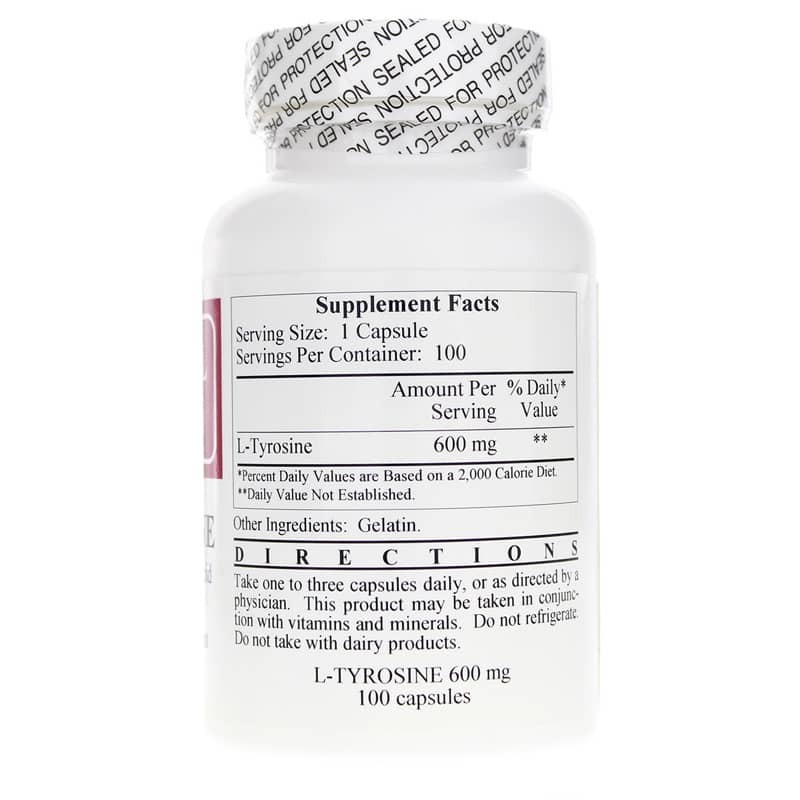 Adults: Take 1 to 3 capsules daily or as directed by a physician. This product may be taken in conjunction with vitamins and minerals. Do not refrigerate. Do not take with dairy products.